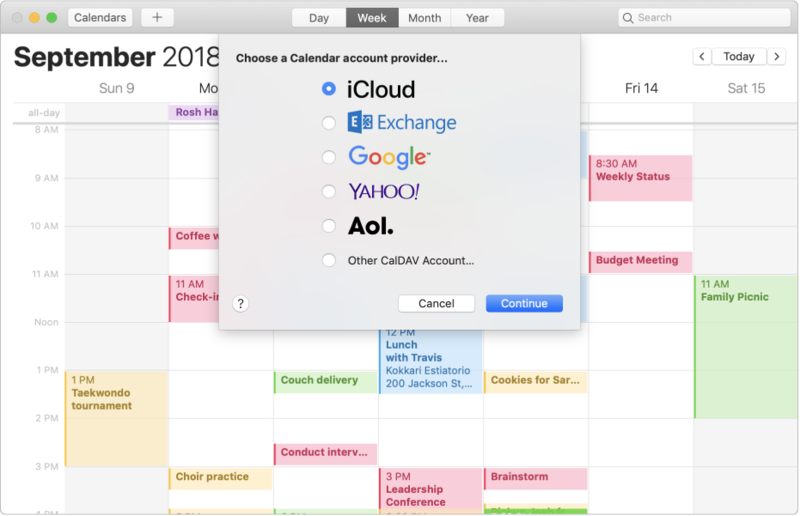 Manage all your events in Calendar, even if they’re in different accounts like iCloud or Google. 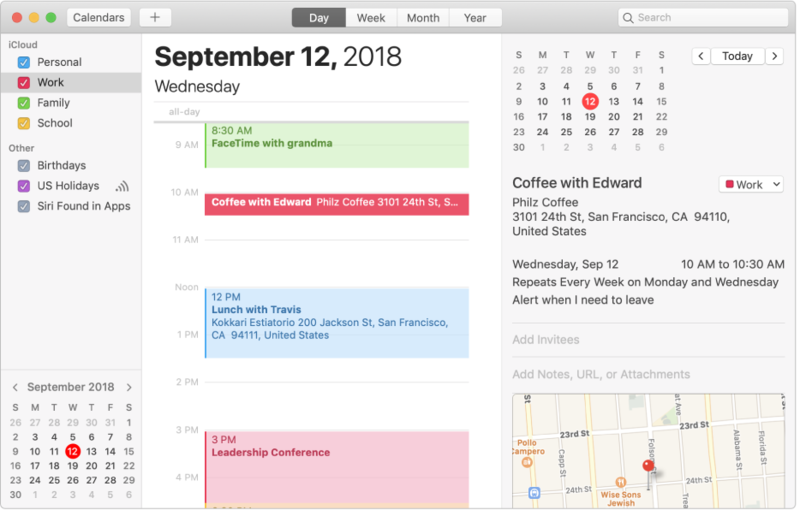 Create separate calendars for different areas of your life. 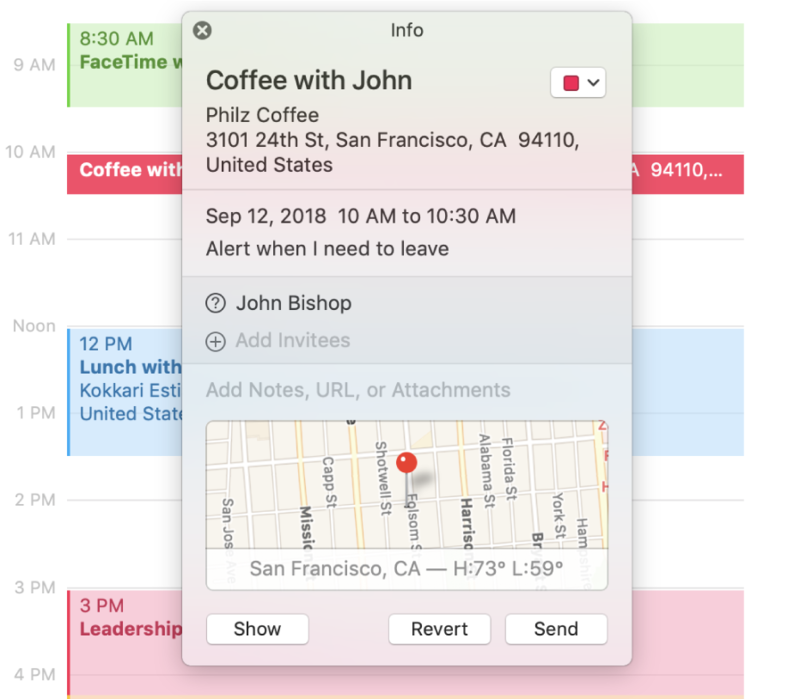 Then, spot your work, family, or personal events with a quick glance. 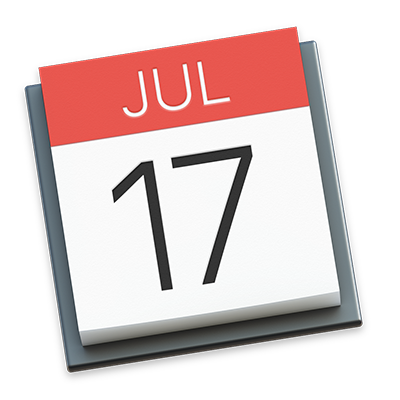 Quickly set up your own events and send Calendar invitations to friends and coworkers. All the information you need about an event at your fingertips. 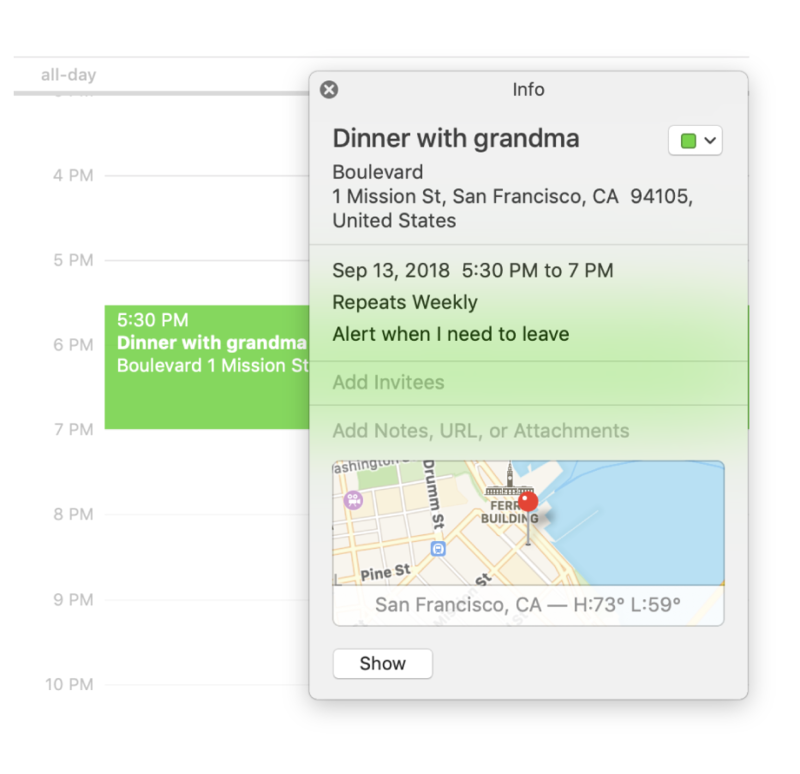 When you add the location of your event—like the name of a restaurant—Calendar fills in the address, shows you a map and the weather, and lets you know when it’s time to leave. To browse the Calendar User Guide, click Table of Contents at the top of the page.